In the current financial year, the City of Cape Town made close to R3 billion available to provide rates rebates and indigent relief to qualifying residents. The proposed funding earmarked for social assistance in the next financial year is currently being discussed as part of the budget process. ‘It is really important that we all contribute our fair share for services. Those who are in financial difficulties must approach us for relief. Hoping that the debt will go away or ignoring the problem is not the answer, and there is help on offer. As a caring City, we make allowance for residents who are unable to pay for basic services to make representation to the City for relief, and for those who are struggling to pay their municipal accounts to enter into an agreed arrangement/instalment plan to pay off their arrears. Contrary to what is being claimed in public, the suburb of Khayelitsha is not in utter darkness and the City has been working hard over the past years to provide appropriate public lighting in this suburb. Work is ongoing and lighting continues to be rolled out. As at February 2019, the total number of installed conventional lights in Khayelitsha is 2 251 while the total number of installed high masts lights is 218. This is in accordance with the Khayelitsha Lighting Master Plan which was agreed to with the relevant subcouncil managers of Khayelitsha in November 2017. The plan includes the installation of 33 additional high-mast lights in Khayelitsha. Conventional lighting is planned for the majority of primary arterial, residential collector roads (low-to-moderate capacity roads), secondary arterial and commercial roads which were identified for conventional streetlight installation. The City’s partnership with the German government was made possible through the Violence Prevention through Urban Upgrading (VPUU) programme that aims to improve the quality of life of the most vulnerable residents. Since the inception of the programme, the City has received a total investment of €15,5 million, or approximately R255,2 million. Additionally, the City has invested R154,2 million in public facilities and infrastructure in the precincts of Harare and Kuyasa as part of the contribution to this partnership. With a clear focus on meeting and exceeding its transformation objectives, Western Province Rugby has revised its coaching and team management structures. These revisions will ensure that Western Province Rugby will make the best strategic use of their coaching resources while simultaneously establishing a clear succession plan in developing its coaching talent for the future. “The simple objective of the revised structures are to ensure that we utilise our current resources in the most optimal way, developing and securing world-class coaching talent that aligns with our transformation goals,” said Western Province Rugby Group CEO, Paul Zacks. With Director of Rugby Gert Smal set to leave at the end of March in order to take up a new opportunity with Toyota Verblitz in Japan, his roles and responsibilities will be collectively handled by the CEO, the Senior Professional Head Coach and the High Performance Manager. The changes to the DHL Stormers management in 2019 have seen Riefaat Jappie (Strength and Conditioning Coach), Norman Laker (Defence Coach), and Dawie Snyman (Assistant Coach – Backs) come into the set-up. They join Head Coach Robbie Fleck, Russell Winter (Assistant Coach – Forwards), Human Kriek (Technical Analyst) and Team Manager Chippie Solomon in the DHL Stormers management for the 2019 Vodacom Super Rugby campaign. The Cape Town Carnival’s main workshop in Maitland is where the magic happens, and on 28 February the Carnival was proud to host media, sponsors and other influencers for a behind-the-scenes look at what it takes to pull off an event of this magnitude. 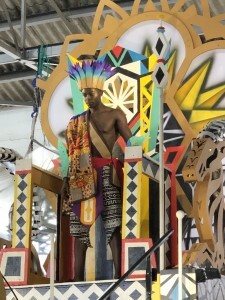 The Carnival workshop is an epicentre of creativity where this year’s theme, VUKA UKHANYE: Arise and Shine!, is being brought to life through floats, costume and puppetry. 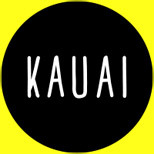 Interpreting the call to action to be all we can be, this year’s floats will include a Monster, to represent conquering your fears, and a giant illuminated marionette ‘Vukani’ in a glorious parade of performers illustrating how we can shake off limiting beliefs. “It’s incredible to see the voyage from the creative workshops where the concept is developed to the final creations,” says Professor Rachel Jafta, chairperson of the Cape Town Carnival Trust. Amidst recent reports of the Momo challenge circulating on the internet; the Minister of Social Development, Albert Fritz, is calling on parents to teach their children how to use the internet safely. The Momo challenge is reportedly digitally-spread, via WhatsApp, and is similar to the Tide Pod Challenge. It allegedly seeks to teach children how to harm themselves and others. Children are reportedly contacted via WhatsApp whilst watching YouTube videos on Fortnight and Peppa Pig. It should be noted that YouTube Kids has however not received any evidence of this challenge, nor has any content been found on YouTube Kids. Regardless, the Momo challenge highlights an increasing need within this digital age for parents to educate their children on how to use the internet safely to prevent being targeted. 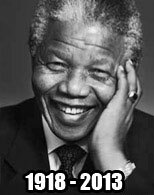 The site is located north of Old Faure Road, and N2 and south of Forest Drive and on both sides of Bob’s Way in Blue Downs. The project is estimated to be completed by the end of 2020. To date, 1 200 units have been handed over. ‘The delivery of large-scale, mixed formal housing opportunities to various low- to middle-income brackets as well as the enhanced focus on the upgrading of informal settlements and the provision of backyarder services on City-owned land is the way forward if we are to tackle rapid and continued urbanisation in Cape Town and South Africa. ‘The success of the country’s efforts to provide accommodation to the more vulnerable residents is, however, dependent on very strong partnerships. It is therefore encouraging to see how the cooperation between the City, the provincial and national governments are making progress possible by working together,’ said Councillor Booi. The City has opened the nominations process for the annual Neighbourhood Watch Awards. Now in its second year, the Neighbourhood Watch Awards celebrates and acknowledges the achievements and contributions of individuals and groups who help build safer communities in Cape Town. The nomination process will close on Friday 8 March 2019. In 2014, Cape Town and the Western Cape generated over R1 billion in export revenue from boat building. Cape Town’s boat building industry is known globally for its world-class craftsmanship, innovative and custom-made designs. South Africa’s marine manufacturing industry is primarily based in Cape Town, Port Elizabeth and Durban. 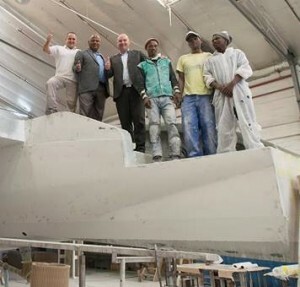 However, other areas within the Western Cape such as Knysna, George and Saldanha also make a significant contribution to the province’s dynamic boat building community. On Wednesday, 20 February 2019, it was revealed that since April 2018, 12 325 wildfires across the Province have been combated by the Western Cape Government, costing government a total of R41.59 million to date. This was reported by Disaster Management and Fire Rescue Services in the Western Cape while briefing the Standing Committee on Local Government in the Western Cape Provincial Parliament. I would like to applaud Anton Bredell, the Minister of Local Government and his Department for their ongoing support in helping municipalities not only combat the wildfires that have taken place, but also the support provided in helping restore the areas affected. I have now written to Anton Bredell, Minister of Local Government asking what measures his Department has put in place to support municipalities in wildfire prevention strategies. Furthermore, I would like to welcome that Provincial treasury has committed to providing R5 million to both the City of Cape to Town and the Overstrand Municipality to help with fire disasters that have taken place in the respective areas.